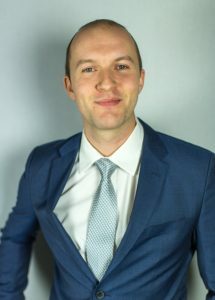 Conway native and fifth-generation Arkansan, Tyler Pearson, announced his candidacy for the office of Faulkner County Justice of the Peace, District 7. Pearson’s priorities will include promoting public safety, ensuring fiscal responsibility and building up the county’s infrastructure. He comes from a family of dedicated Faulkner County public servants and believes this experience will help him better serve constituents. Pearson is a sustainable development professional working with Heifer International’s USA division. A graduate of Conway High School, Pearson earned a bachelor’s degree from the University of Central Arkansas and a master’s degree from the University of Arkansas Clinton School of Public Service. He is a husband, father, and is active in several community groups in Faulkner County where he currently serves on the board of directors for Independent Living Services and Conway Cradle Care. Pearson said he looks forward to meeting the residents of District 7 and earning their support.